The disease develops upon a strong outbreak of fungal yeasts. 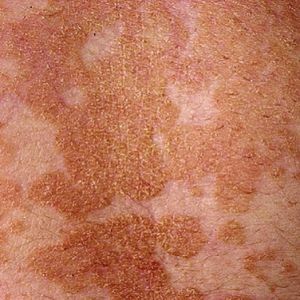 This is a chronic skin disease characterized by the formation of white or brown spots on the skin. 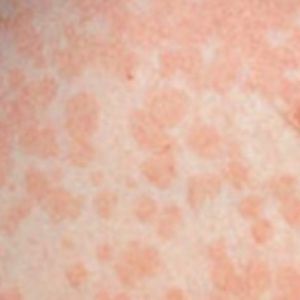 Pityriasis versicolor is caused by Malassezia yeasts which normally live on the surface of the skin. The blemishes occur in places with a greater amount of sebaceous glands but they also occur on the hands, neck, inner thighs, abdomen or face. They measure several millimeters but may merge into areas of up to 2.5cm in diameter. They have usually sharp contours. The disease is caused by lipophilic yeasts Malassezia furfur, M. globosa and M. sympodialis which normally exist on the skin. The disease develops upon a strong outbreak of these yeasts which can result from impaired immunity. The formation of blemishes is aggravated by warm and damp environment, excessive sweating and wearing clothes (underwear) of synthetic materials. 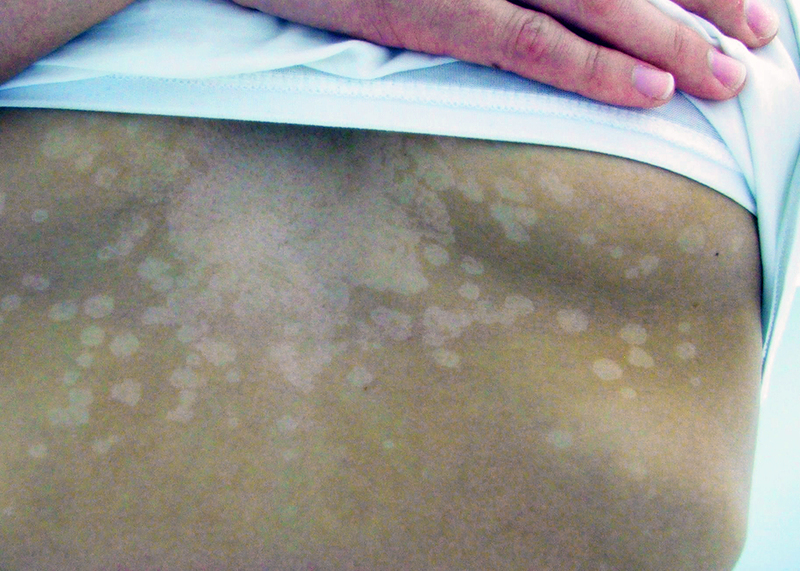 Tinea versicolor can also be associated with genetic dispositions or the use of hormonal contraception. The disease most frequently occurs in adolescents and adults. It is not common in small children. To mitigate and remove the symptoms of Tinea versicolor, apply, after consultation with a medical practitioner or pharmacist, antimycotic products (creams, ointments, soaps, shampoos, and pills) that eliminate yeasts. In addition to other antimycotics, also products containing octopirox are also suitable. Octopirox reduces increased production of yeasts and bacteria which lead to formation of deposits on the skin. Ichthyol pale, which helps reduce reproduction of fungi and bacteria, is also a suitable substance in the formula. Furthermore Ichthyol pale reduces itching.